After doing the 40 Talks in 40 days, I can’t help but think that the world has a need that is not fulfilled in guidance. Those men and women spouted out such bad advice, untrue moments and so many logical fallacies, I can’t help but think that many who were used to following them, but now question, could use some actual Guidance. As such, I create a new Category: “Life Improvement” with a new series “Better than General Conference”. Talks, in a similar style, but touching on actual issues of our day. The intent: That when a relative sends you an inspired quote or request to read General Conference talk, you can send back some real life advice for dealing with real issues. Note, I’m not a prophet. I’m a non-prophet at best. I’m a human who has some ideas about life. That said, I’m still convinced this advice is far better than what the “Prophets, Seers and revelators” dish out. I will not mention this again, as I’d like to kind of leave the comparison with Mormonism in this section and just discuss life, current events, and how we can do better tomorrow than we did today. Have you ever had a parent make you clean your room? When I was a boy I would sometimes leave toys on floor in the family room in the basement. I also was sometimes afraid of monsters. At one point, a brilliant idea came to me, if I laid my toys out, similar to a minefield, with them in unpredictable locations, any monsters coming to get me would be injured on the way. After I had gone to bed, I heard several cries of pain. I knew my monster trap had worked. Of course, there were no monsters. Instead, my father had come down for a shower, and, crossing the family room, had found a field of foot injuring action figures instead of a quick path to a refreshing shower. My father had a serious talk with me after several nights of my protective strategy were put in place. My ability to choose to leave toys out was seriously impacted. Relationships always require communication if they are going to work. Talking with my father before setting my trap would have saved his feet some pain, and an original Kenner Star Wars action figure or two. His willingness to communicate with me helped improve the situation both for him and myself. Part of what was wrong is that I did not allow my father to consent to the situation. Relationships between boys and girls, men and women and even between members of the same gender are always improved when both parties communicate, and allow the other to consent to actions. Especially where our bodies are concerned. Many times I have met someone with a different definition of personal space than myself. Hugs, when consent is granted, are warm, comforting, and communicate love and concern. 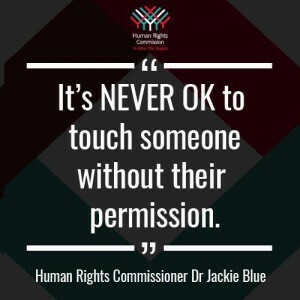 Hugs, when consent is not granted can be cold, off-putting and even threatening. Even in marriage, when consent has been given previously, communication of continued consent is very important for feelings of comfort and safety that allow love to flourish. If a partner becomes withdrawn, quiet, or changes patterns, communication should lead before consent. Teenagers, you are in an experimental time. Many times media portray relationships as “normal” that do not illustrate good consent. You need to have good role models and to talk to those you trust about how to give and deny consent and what to do if someone denies consent to you. You are in a practice time to learn good consensual actions to build relationships based on communication. If a friend is feeling down, ask first, before you hug them, but hug them if consent is given. If a person tells you not to touch them, even if they are weaker, smaller, or unable to resist, do not touch them. Even if it is part of a joke that your friends are enjoying. Practice good consent and your lives will be enriched. If leaders or people of authority pressure you for relationships, actions or deeds that make you uncomfortable it is important that you report this. HR departments deal with lawsuits for millions of dollars caused by poor communication and situations lacking consent. If you find yourself attracted to someone under your authority, understand that person cannot give you consent. Anyone who is powerless to resist, or whose livelihood is dependent upon forced consent cannot consent. Persue other relationships until the power in the relationship is equal. Adults who interact with minors need to understand how little children can really consent to. There are something that they cannot be allowed to decide for themselves. Toddlers would run around with filled diapers forever rather than be changed. 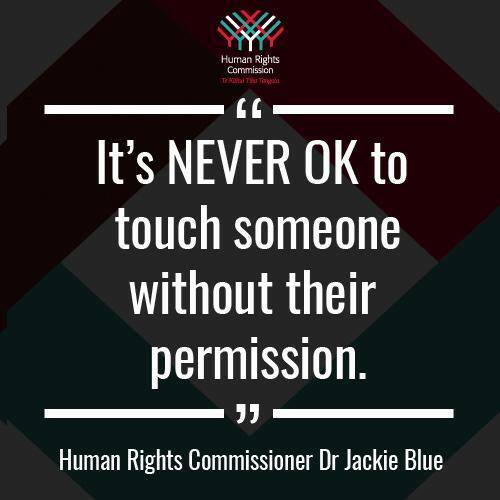 However, adults dealing with minors must always be careful in getting and respecting the consent of children and knowing the boundaries of their guardians and loved ones, as well as showing children decent respect that should be given to any human. Sometimes a power imbalance in a relationship can be thrilling. It can stir powerful emotions. Leave that for fantasy time, and roleplaying rather than actually exercise power over others. Individuals who are not conscious, inebriated, or otherwise incopacitated; including from drugs, medication, or injury, cannot give consent. By communicating with our loved ones, our co-workers and those we wish to add to our list of individuals regularly included in our lives, including discussing situations of consent we can improve our lives, enrich our future relationships and engage on a deeper, more meaningful level. We can avoid costly lawsuits as well as stand up for ourselves when others put us into situations that would rob us of consent. May you all live lives of communication and consent. This entry was posted in Life Improvement. Bookmark the permalink. Bravo! I’d probably rejoin if the head honchos actually started giving advise beyond how better to be obedient to the social signals. Along the same lines, there is still no commentary or leadership from them regarding the current crap going on in the world. They’ve got four more hours of conference to remedy this, but I’m not holding breath.